Featuring an abstract print in rich royal blue and umber, this Verpass cardigan is a smart choice. We love the flared hem, shawl collar and broad black trim. 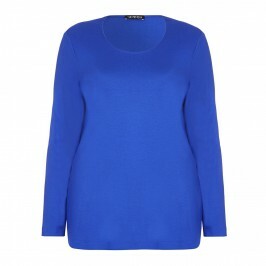 Pair with the matching top and black jeans for a polished daytime look. Abstract print jersey cardigan with black edging. 96% Viscose, 4% Elastane. Delicate Machine Wash or Dry Clean.